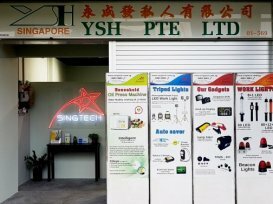 YSH Pte Ltd manufactures premium automobile security systems that provide maximum security and gives the best assurance to vehicle owners. one of the new product from singtech. Worth buying and the price i cont find less then singtech. Called Ysh regarding the security systems they have. They do provide me will all the necessary detial with pleasant attitude.